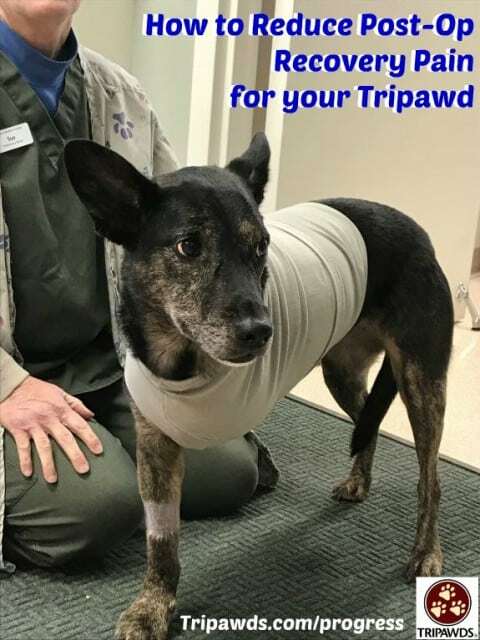 Even if you just joined our community, you know that a Tripawd’s post-amputation recovery pain is a frequent topic of conversation in the Tripawds Forums. And with good reason: too many new animal amputees leave the hospital without enough pain medication. This makes recovery difficult for the pet and their person, which is why we constantly crusade for good pain control for Tripawd dogs and cats, especially during recovery. “You may have the best surgeon in the world that has done a major procedure, an amputation, or whatever, but maybe doesn’t know how to deal with the post-operative pain at home. That doesn’t mean he’s a bad veterinarian, we just can’t all be good at everything,” says Dr. Mike Petty, DVM, CVPP, CVMA, CAAPM, CCRT. If anyone understands the needs of new amputees, this vet does. He wrote the must-have book for all dog parents, Dr. Mike Petty’s Pain Relief For Dogs, founded Arbor Pointe Veterinary Hospital in Michigan, served as a faculty member of the Canine Rehabilitation Institute, is immediate-past president of the International Veterinary Academy of Pain Management (IVAPM) and co-authored the American Animal Hospital Association Pain Guidelines (among many other distinctions). 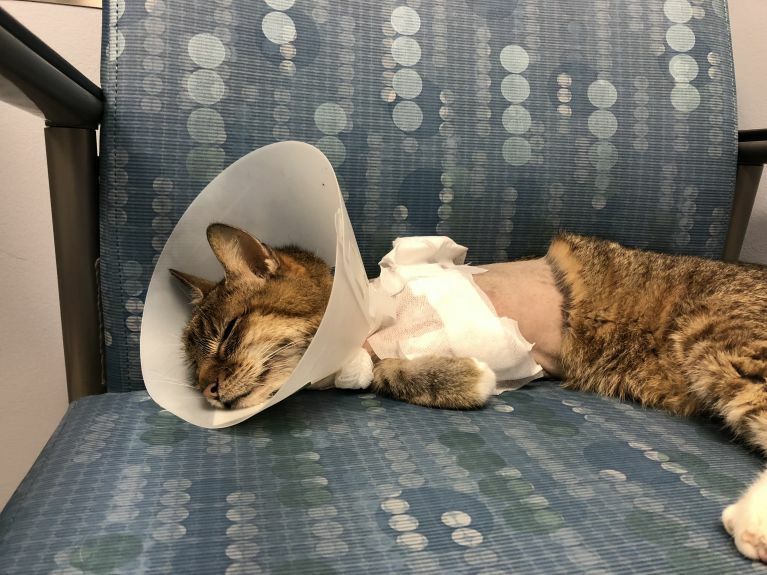 Can Amputation Be Pain Free for Dogs and Cats? 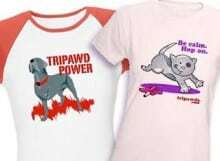 “It is possible to keep dogs (and cats) with amputation nearly pain-free. Not all of it, but most of it. How Does a Cat’s Pain Management Needs Differ From a Dog’s? Good pain management helps Scout recover. “Cat pain is different than dog pain. Cats are usually too cool to show their pain and cat pain is mostly exhibited by changes in behavior. It’s very important that you know what you’re looking for. There is a website called newmetrica.com and they have a pain evaluation form that shows things like muzzle position, ear set, and so forth to let you know your cat is in pain. If your veterinarian isn’t using this you certainly can. Go to that website and download it. How Can We Find a Veterinary Pain Management Expert?